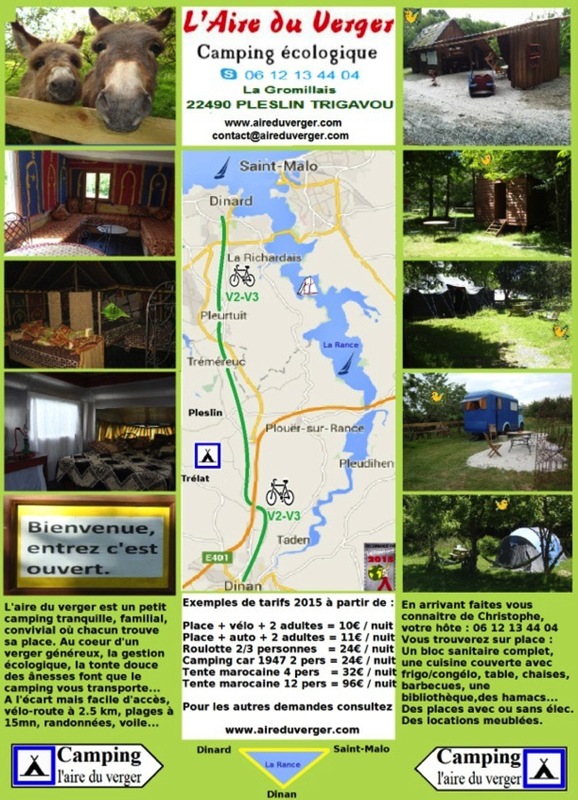 Ecological campsite « L’Aire du Verger" welcomes you to a natural orchard of two hectares, with furnished Moroccan tents, camping places, and comfortable toilet block. Fridge and freezer space available, sale of produce, hiker services. «L’Aire du Verger » is conveniently located for your holiday by the seaside or in the countryside, for short breaks, events, seminars or meetings. Easily accessible, away from traffic, 2.5 km from the greenway from Dinan to Dinard, 15 minutes to the beaches. Its proximity to the greenway (disused railway) makes it an ideal stopover for cyclists when arriving in France by Saint Malo or the night before catching the ferry back to Portsmouth. 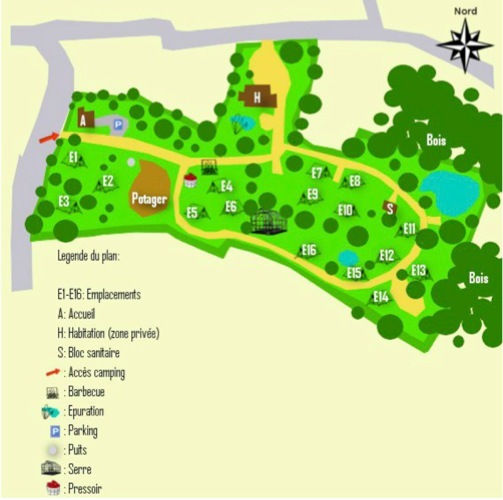 «L’Aire du verger» is a natural camping area that tries to have a coherent overall concept of sustainable development.